Hi everyone! You may remember the tiny house survey from about 2 years ago and I am excited to share a new and improved one with you. There are a few more questions and this version goes much more in-depth about lifestyles and life stages. It’s not just for people living in a tiny house, but also for those who are just in the dreaming phase. 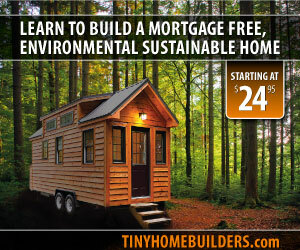 It’s even for those of you interested in nontraditional tiny houses like buses and yurts. Please take a few minutes to complete this survey so we can capture some amazing statistics on tiny house people.